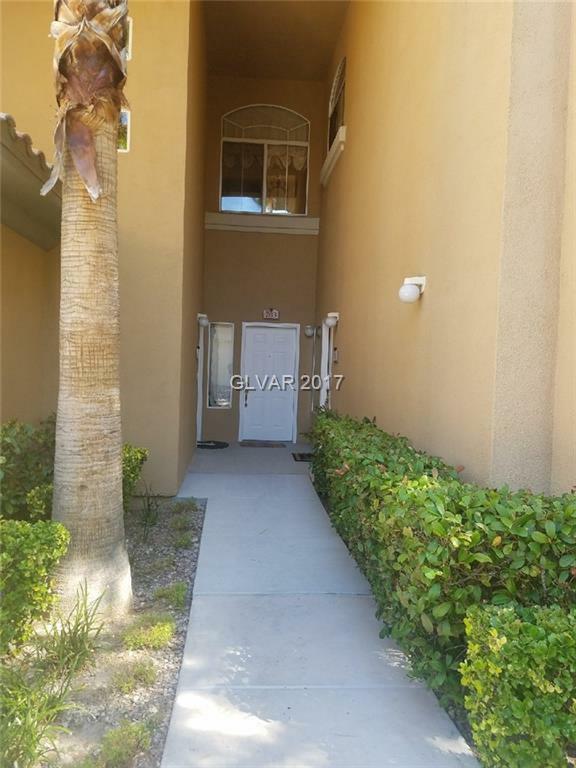 GREAT CONDOMUNIUM IN SUMMERLIN THIS LOVELY 3 BED ROOM 2 BATH CONDO WITH A GARAGE LEADS INTO YOUR HOME, THE VIEW FORM THE BALCONY IS AWSOME. MASTER BEDROOM SEPARATE FROM OTHER BEDROOM, W/I CLOSET, 2ND AND 3 BEEDROOMS WITH CELLING FANS MIRRORED CLOSET DOORS: HOA COVERS, TRASH, SEWER AND WATER. THIS COMPLEX INCLUDES A POOL, SPA, BBQ AND EXERCISE ROOM.